Germany is synonymous with beer gardens, fairytale castles, medieval towns, and scenic rivers. With Globus, you'll experience the magic of Germany—from its vibrant cities to the enchanting Black Forest. See the must-see sights, such as the Glockenspiel and Marienplatz in Munich, King Ludwig's Neuschwanstein Castle, Kaiser Wilhelm Memorial Church in Berlin, the infamous cathedral in Cologne, and Nuremberg's Old Town. Cruise on the prettiest part of the Rhine River and travel the Romantic Road to visit the walled, medieval town of Rothenburg. Globus also takes you beyond the must-see sights and offers unique activities, such as an opportunity to enjoy a beer in the Cölner Hofbräu Früeh in Cologne and a stay at a family-owned hotel in the Black Forest, where you will learn about the cuckoo-clocks that make the area famous. When you think of a vacation to Germany, what comes to mind? Perhaps it’s visiting fairy-tale castles and medieval towns. Perhaps it’s seeing the Bavarian Alps and beautiful countryside. Perhaps it’s savoring German food and beer. If so, all of this and more is included on this ...Read More. With castles, palaces, beautiful scenery, historical sights, and cultural treats, this Munich, Salzburg & Vienna tour is sure to delight all of your senses! 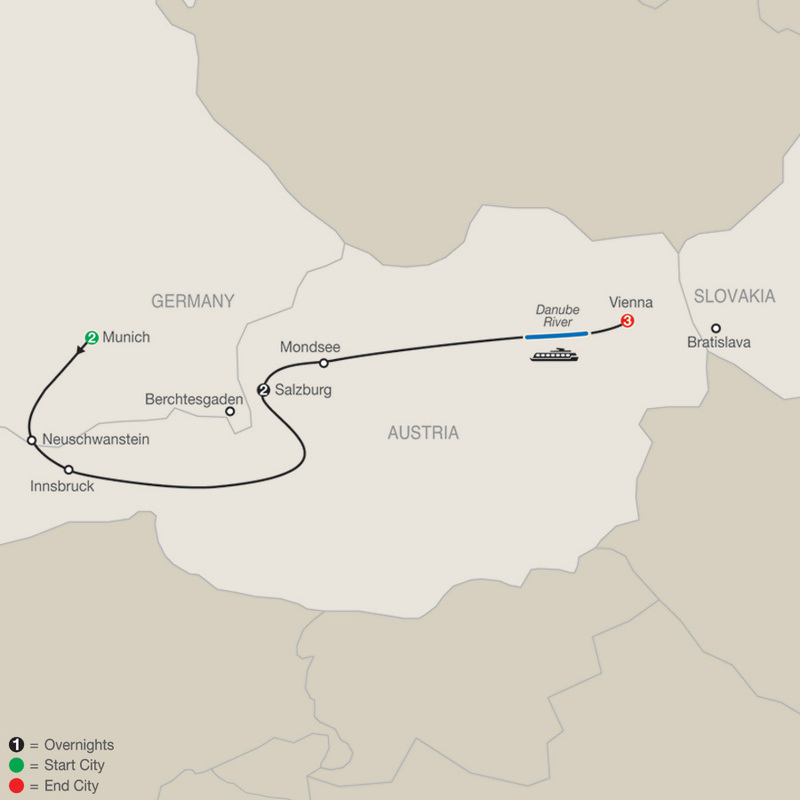 You'll overnight in Munich, Salzburg, and Vienna, and you'll also spend time in Innsbruck and Mondsee. If you love ...Read More. Lederhosen, Oktoberfest, pretzels, a beautiful Alpine backdrop, excellent beer, storybook castles, and medieval towns… this is Bavaria and on this Germany tour, you’ll experience Bavaria's highlights. 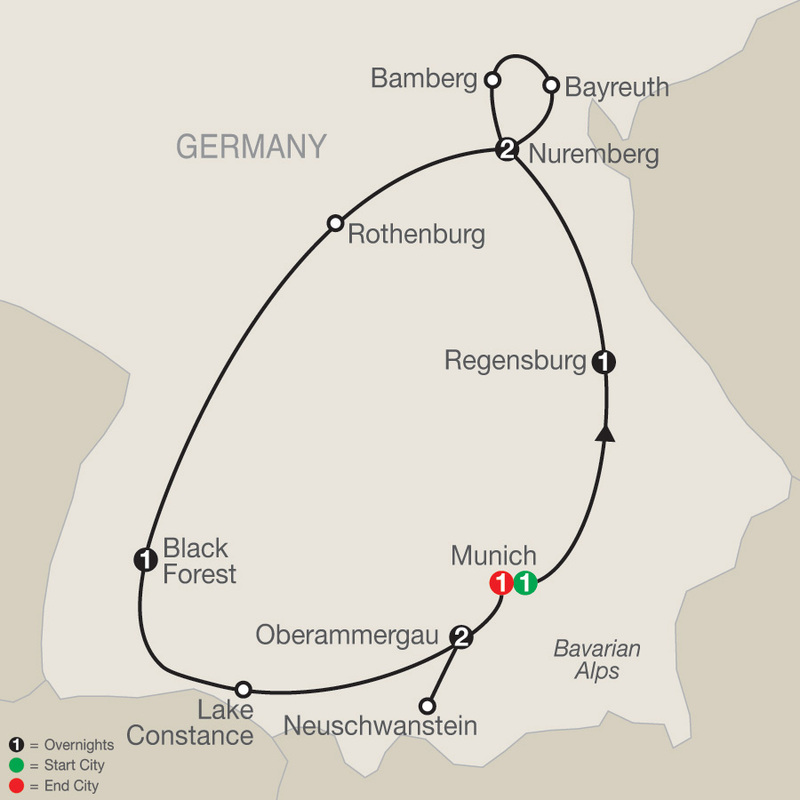 You’ll overnight in Munich, Regensburg, Nuremberg, the Black Forest, and ...Read More. 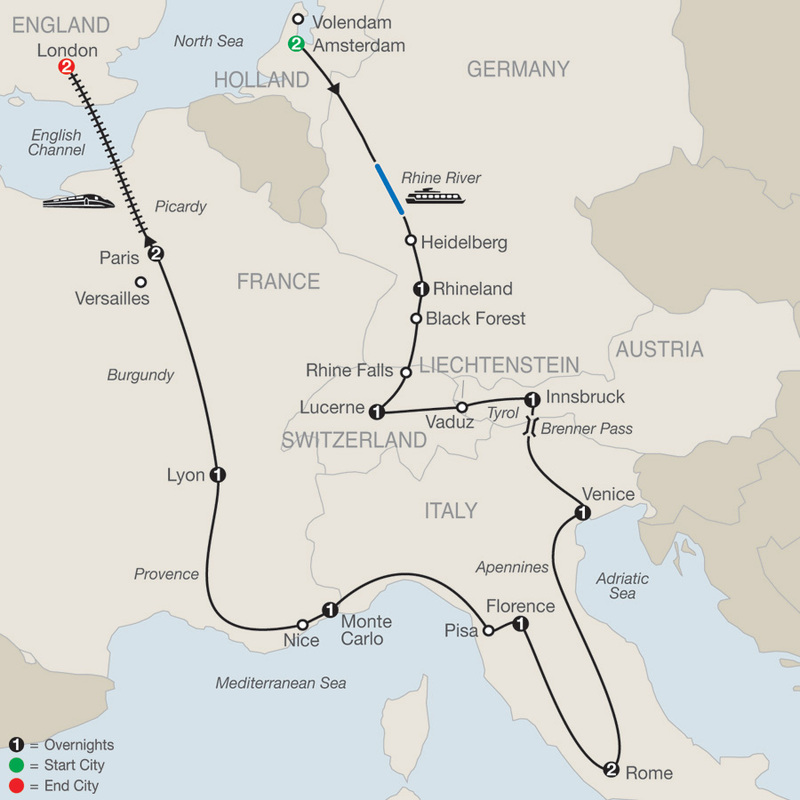 This tour is a magnificent journey through the former Habsburg Empire. 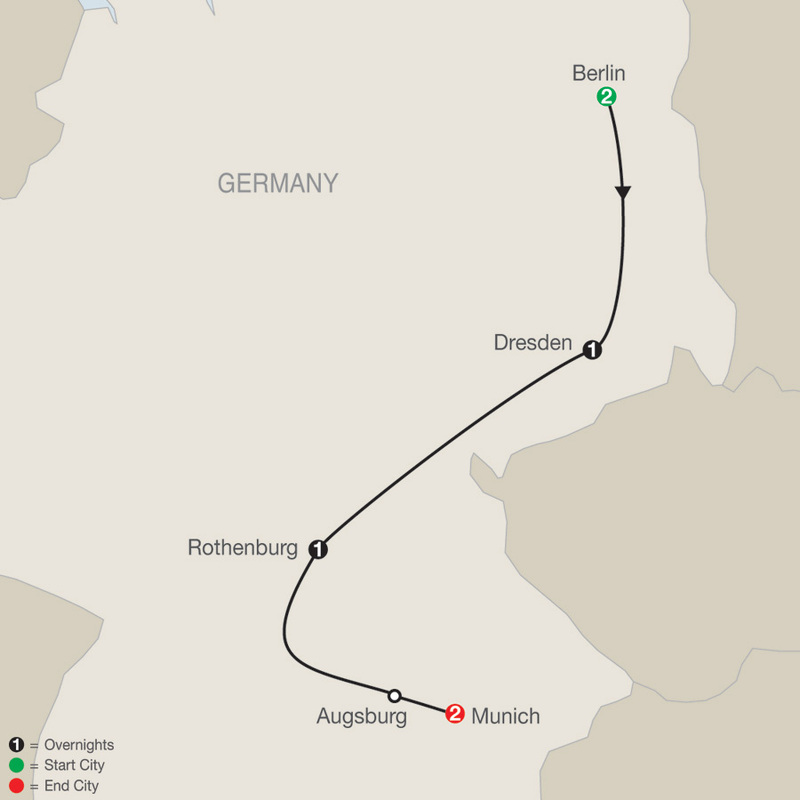 It starts and ends in Munich with an orientation of the city. 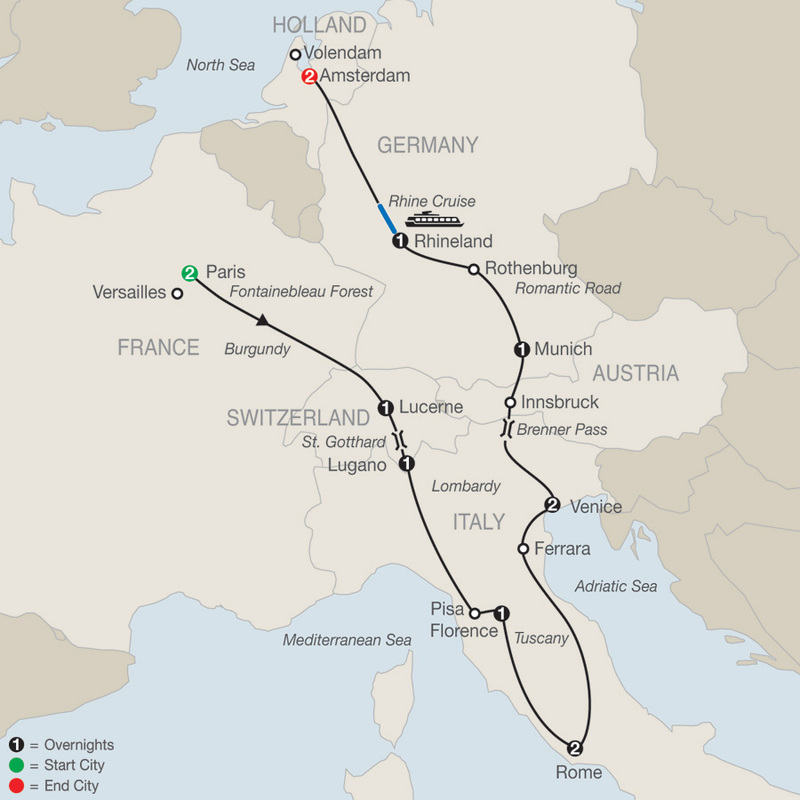 Along the way, you will overnight in Prague, Budapest, Vienna, and Salzburg. You will enjoy guided sightseeing of the must-see attractions: in ...Read More. The name of this European tour—Enchanting Europe—says it all! 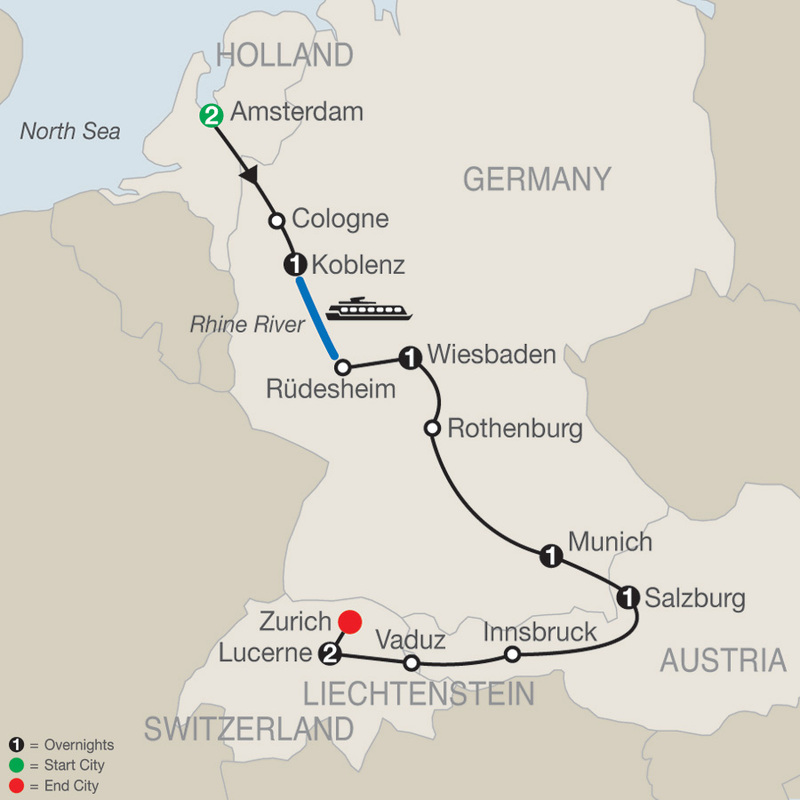 You're sure to be enchanted as you travel from Amsterdam, Holland’s lively capital, to picturesque Lucerne in the Swiss Alps with overnights in Koblenz and Wiesbaden in the Rhine Valley, in Bavaria’s capital Munich, ...Read More. 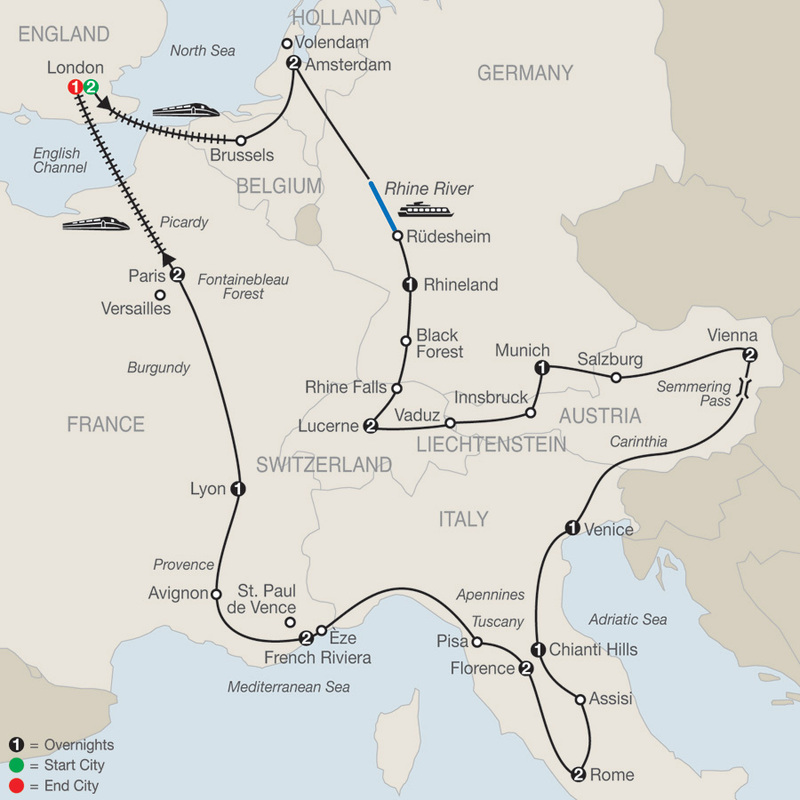 As the name implies, this European tour is a sample of some of the major highlights of Europe. 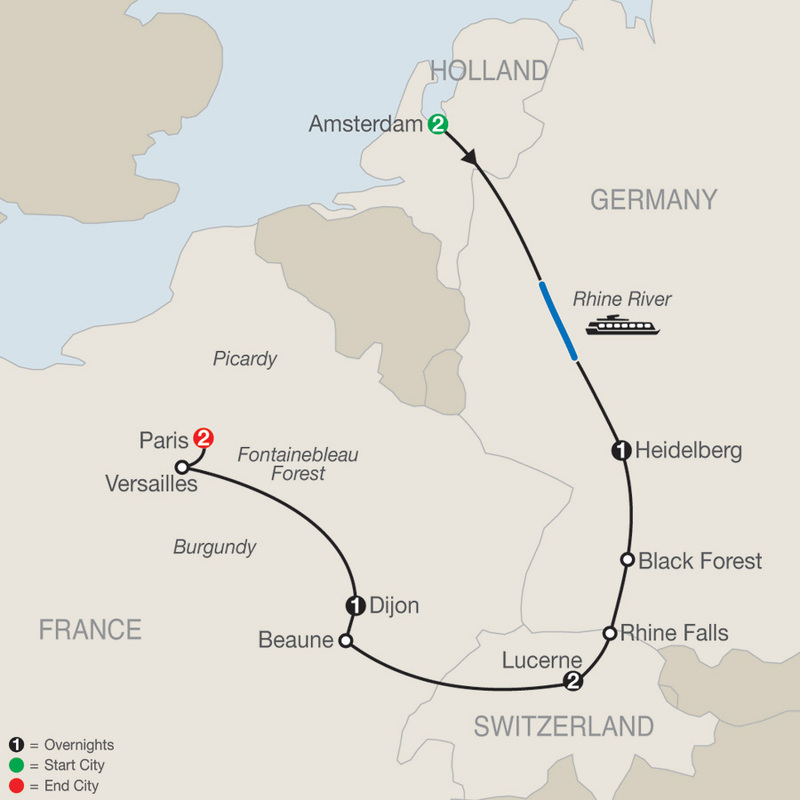 You’ll spend two nights in Amsterdam, Lucerne, and Paris, as well as one night each in Heidelberg and Dijon. In Amsterdam, your guided sightseeing is via a canal cruise, the only way ...Read More. 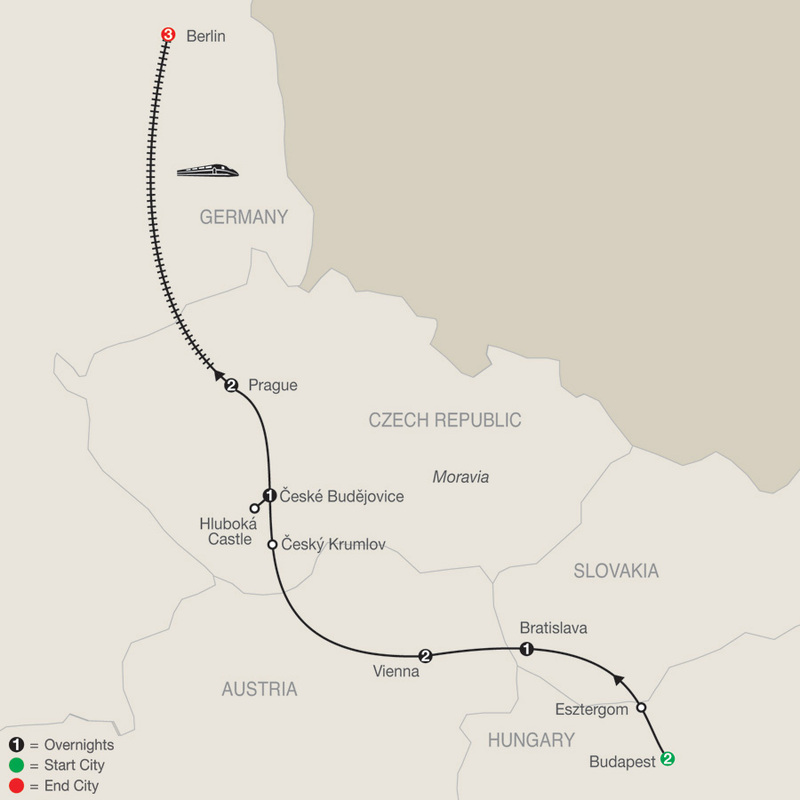 This World War II tour in Poland and East Germany is the perfect vacation for those who are interested in World War II. 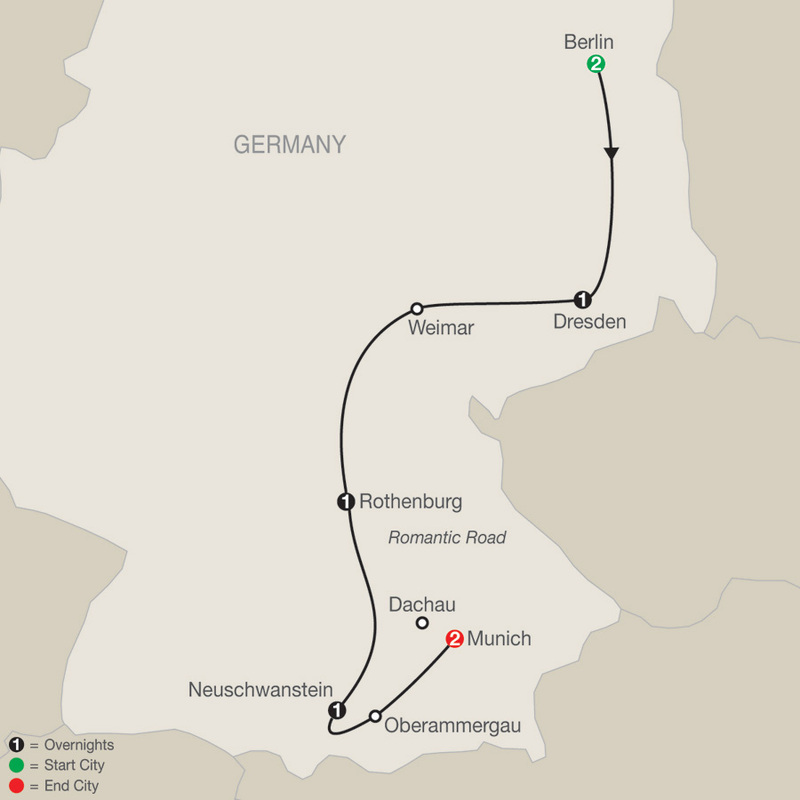 Your tour starts in Warsaw and ends in Munich. 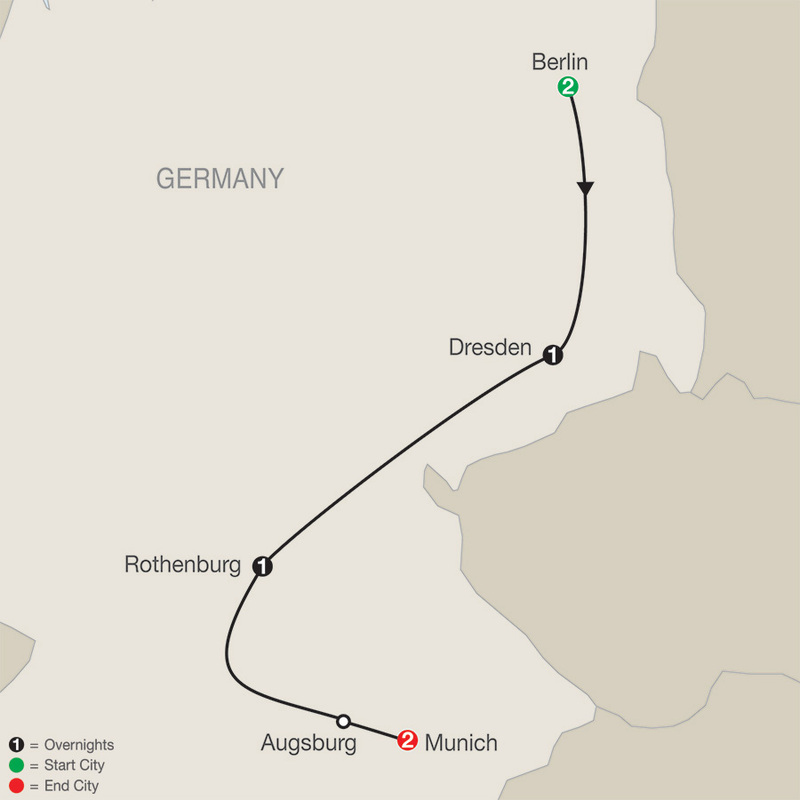 Along the way, you’ll visit cities, concentration camps, and places important during World War II—with ...Read More. Germany is a country filled with spectacular scenery, medieval towns, fairytale castles, a fascinating history, fun oompah music, and world-class beer. 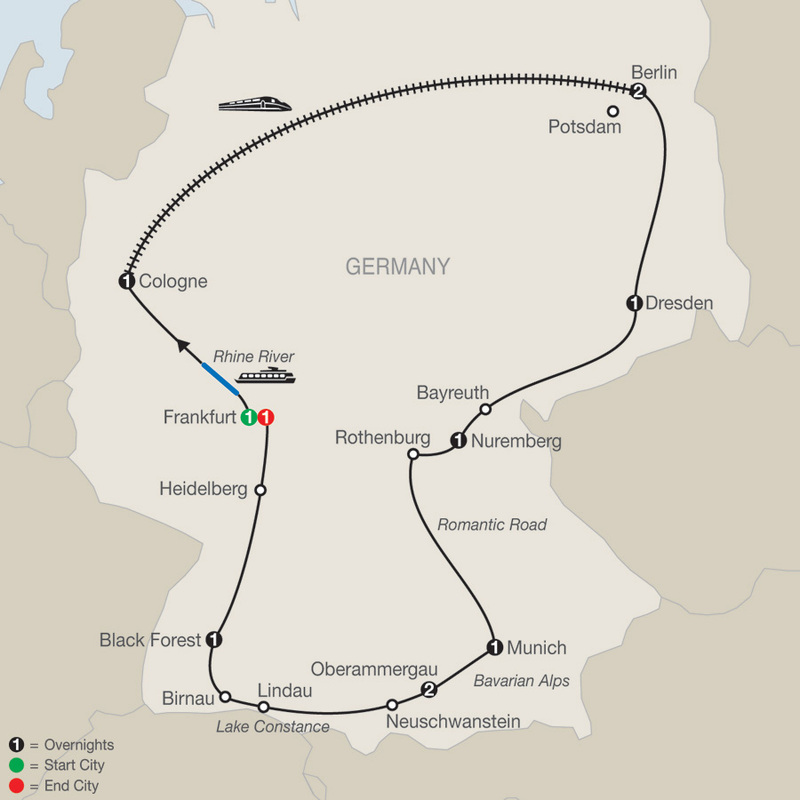 On this Germany tour, you'll see Germany's highlights and visit its most famous cities, as well as its medieval towns and ...Read More. When you think of an Eastern Europe vacation, what comes to mind? Perhaps it's visiting old churches and seeing historical sites that have been standing for many centuries. Perhaps you think of visiting cities bombed in World War II and restored to their former splendor. Or ...Read More. Travel through some of Eastern Europe's most fascinating countries—Hungary, Slovakia, Austria, the Czech Republic, and Germany —each with a rich culture, fascinating history, and interesting historical sights. Your tour begins in Budapest, Eastern Europe's most cosmopolitan ...Read More. 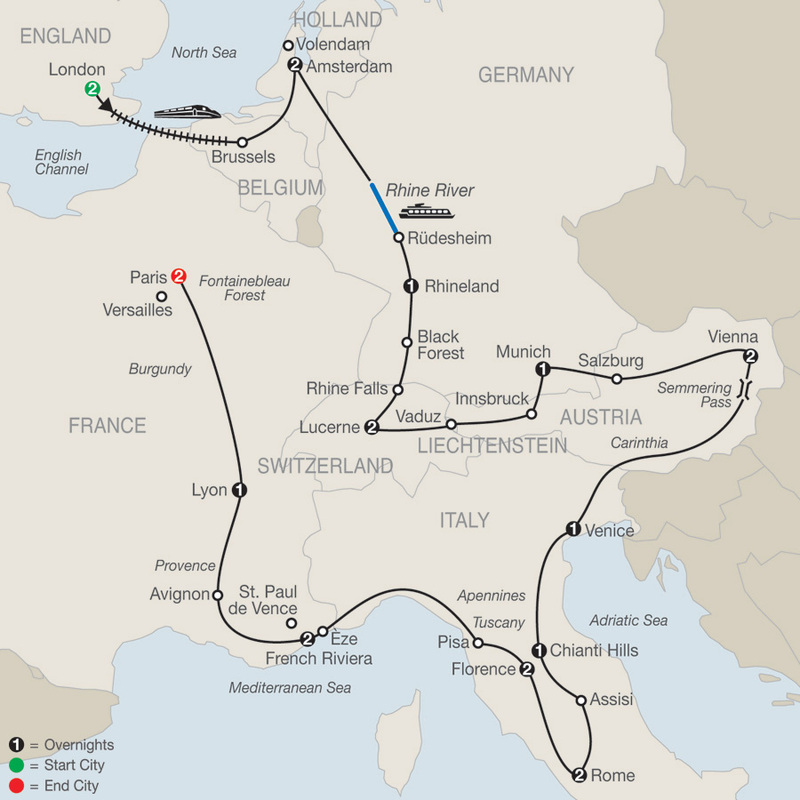 As the name implies, this European tour is a sample of some of the major highlights of Europe. 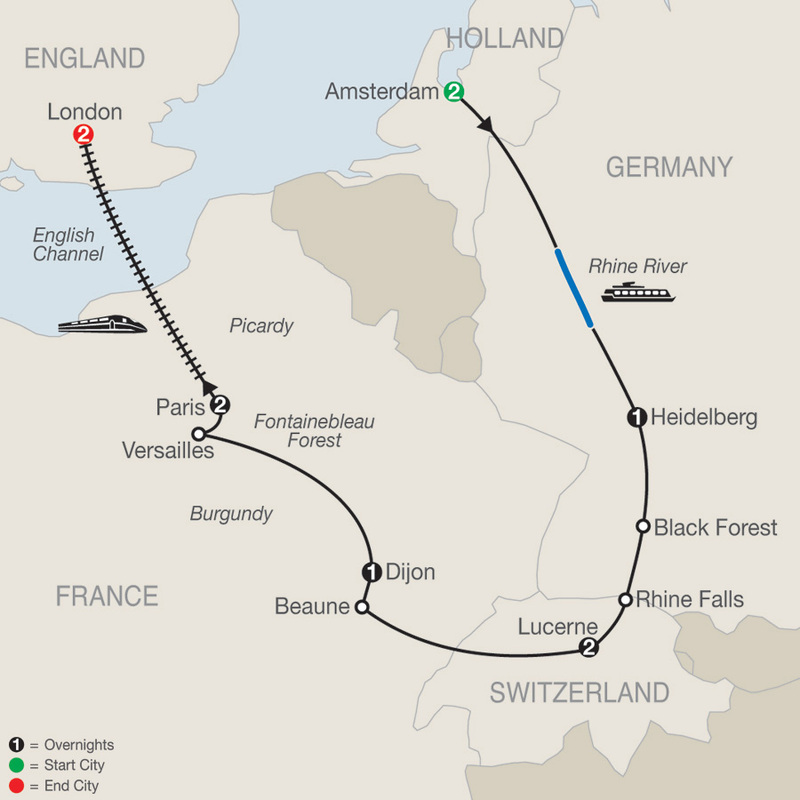 You’ll spend two nights in Amsterdam, Lucerne, Paris, and London, and one night each in Heidelberg and Dijon. In Amsterdam, your guided sightseeing is via a canal cruise, the only way ...Read More. Europe—it’s a continent full of different cultures, food specialties, architecture, art, scenery, and histories—and this is the ideal Continental Introduction: experience and see what many of the European countries have to offer. You’ll spend two nights in Paris, Rome, Venice, ...Read More. A tapestry takes distinct colors and threads, and weaves them together into a beautiful design. That’s exactly what this European tour—European Tapestry—does. It weaves together the distinct cities, cultures, landscapes, and food of seven countries to make a beautiful vacation ...Read More. 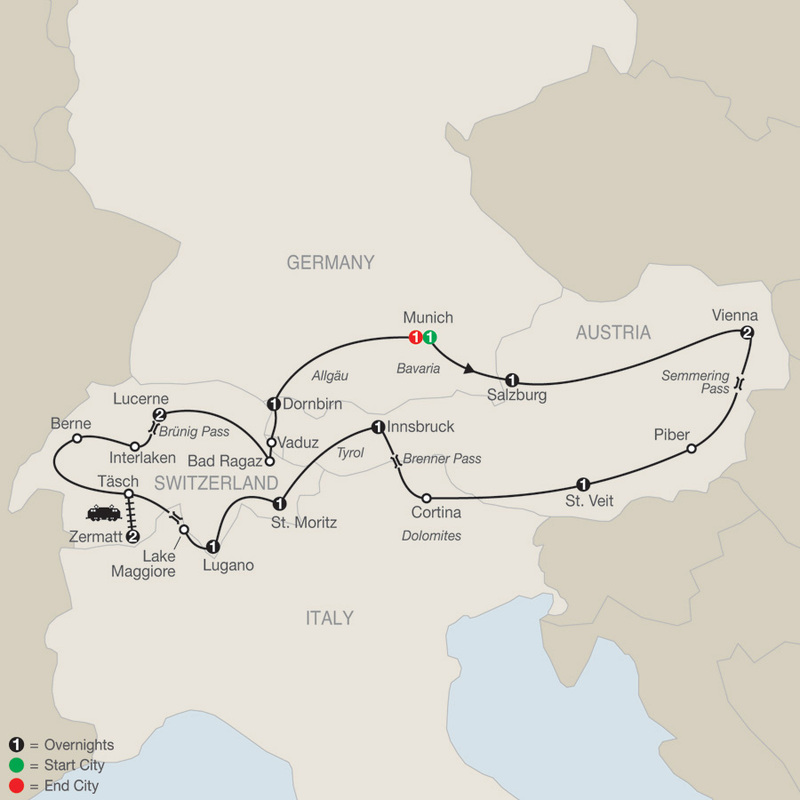 On this Germany, Austria, and Switzerland tour, be prepared for breathtaking views! Your vacation starts and ends with welcome and farewell dinners in Munich and includes overnights also in Salzburg, Vienna, St. Veit, Innsbruck, St. Moritz, Lugano, Zermatt, Lucerne, and ...Read More. A tapestry takes distinct colors and threads, and weaves them together into a beautiful design. That’s exactly what this European tour—European Tapestry—does. It weaves together the distinct cities, cultures, landscapes, and food of eight countries to make a beautiful vacation ...Read More. 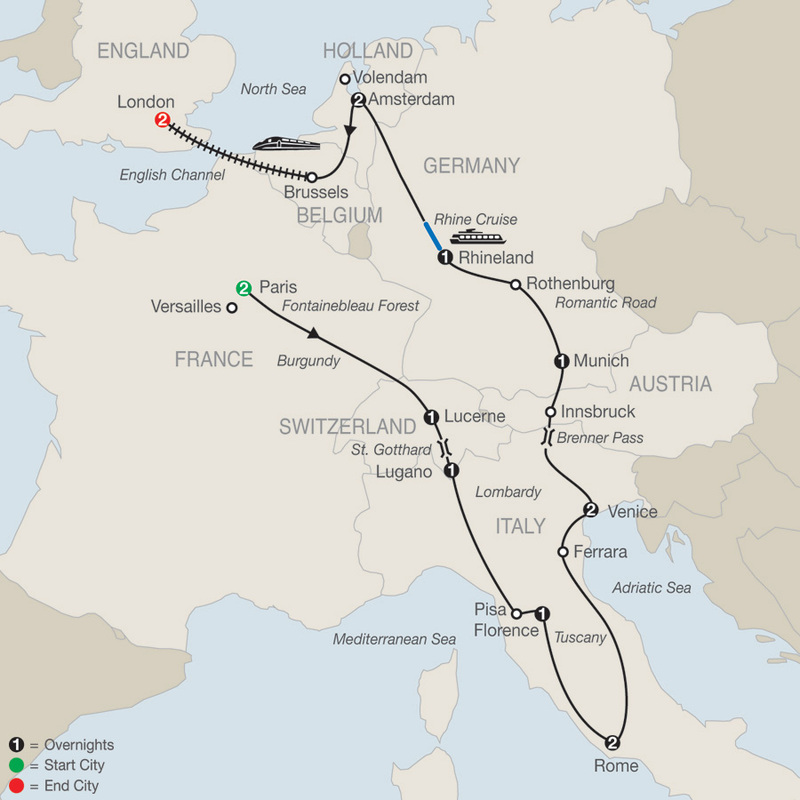 A European tour…it should include the most popular and exciting cities, the must-see sights, tasty meals, picturesque scenery, and a mix of culture, history, and just plain fun. 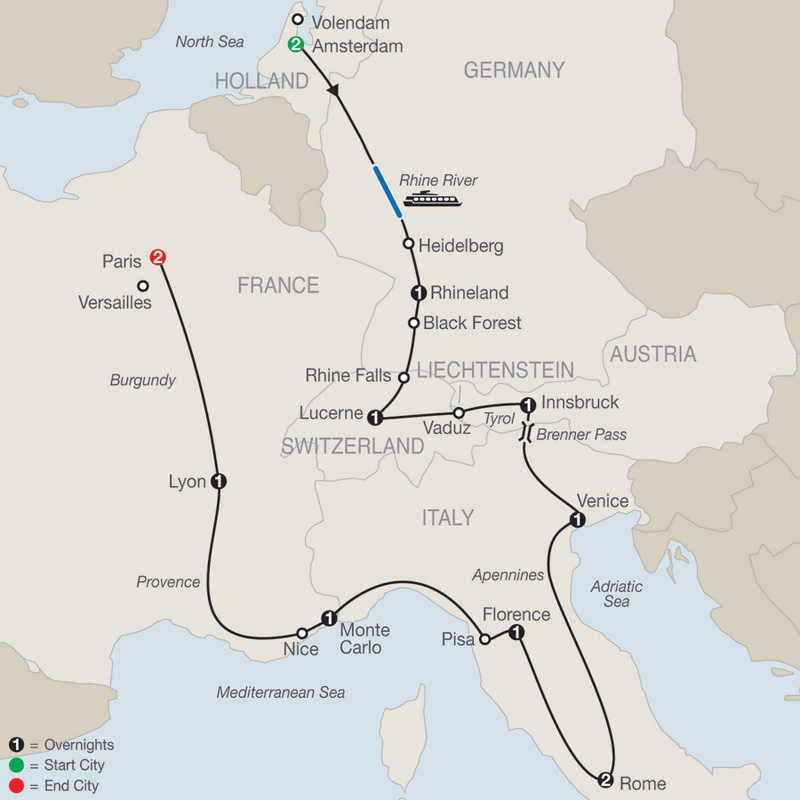 On this Traditional Grand European tour, you’ll experience all of this and much more. You’ll stay ...Read More.